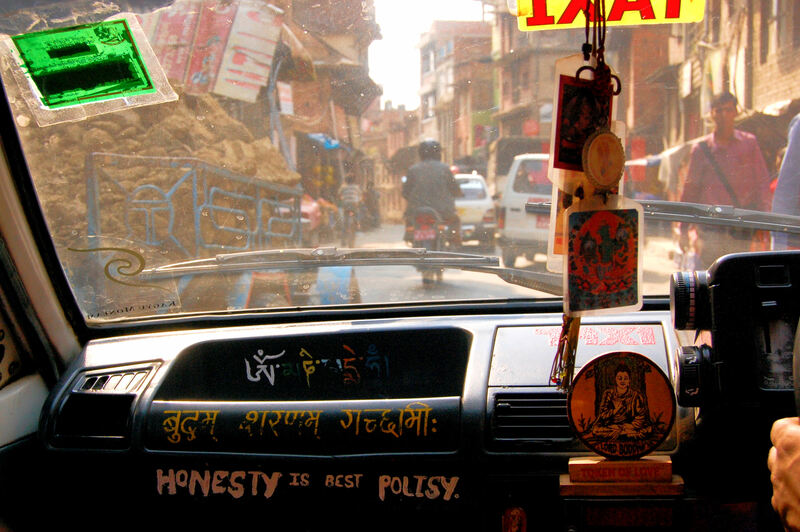 Kathmandu is a city of contradictions. 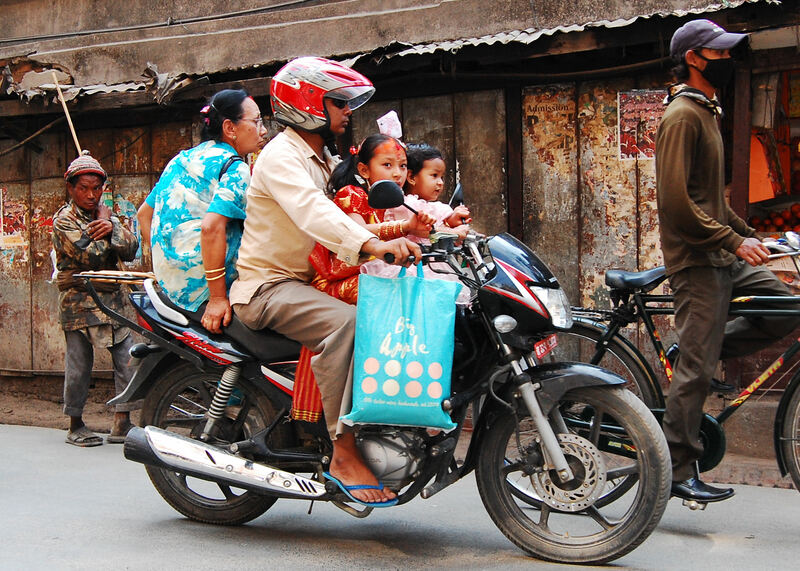 Traditional practice coalesces with rapid urbanization in Durbar Square as motorbikes dodge livestock on the narrow streets. 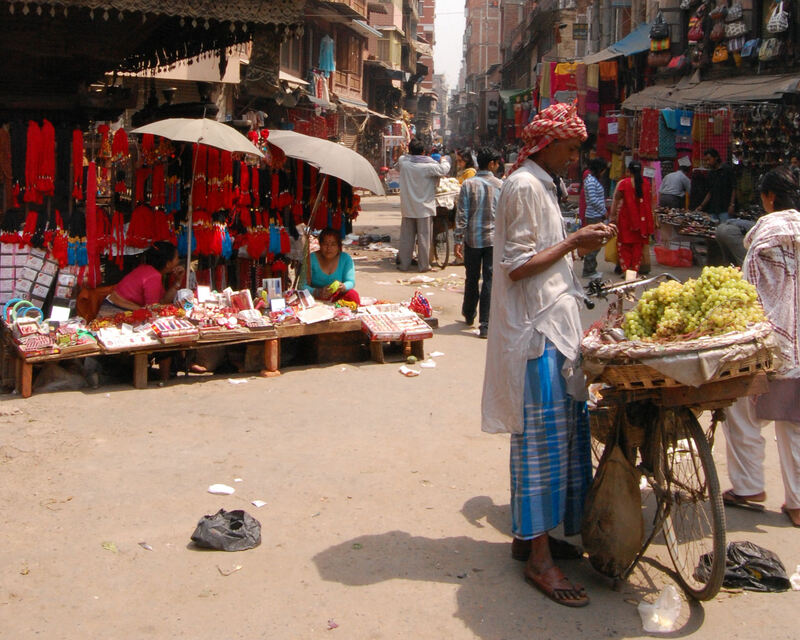 The crumbling mortarless brick buildings, hundreds of years old, house stalls selling everything from dried peppers and incense to cellular phones and calling cards. The entire city is cast in a reddish earthy brown. Dust hangs about everywhere and the thick smog further soils the drab landscape. But this dreary scene only forms the canvas for the explosion of color and pattern exploding from every market stall, temple, and wardrobe. 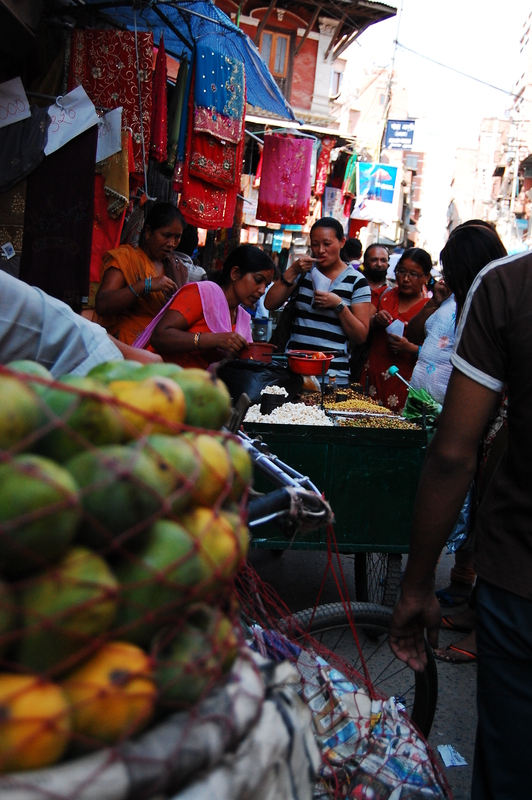 Purples and blues burst from the endless textile stalls, Vivid peppers and fruits are spread across blankets along the streetside, and temples shine with gold, their stone statues of Hindu god’s smeared with bright red dye. But the starkest contradictions play out in the vast human drama of the city where happiness, misery, piety, and greed unfold before you. 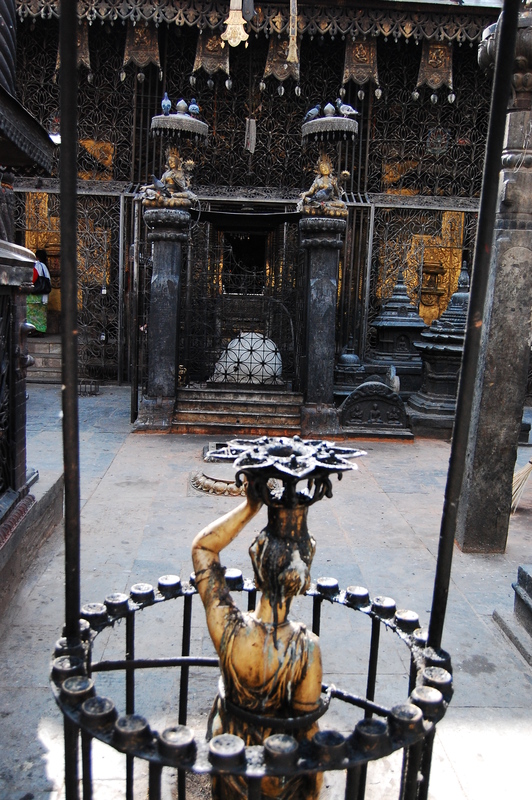 Hindu Temple. 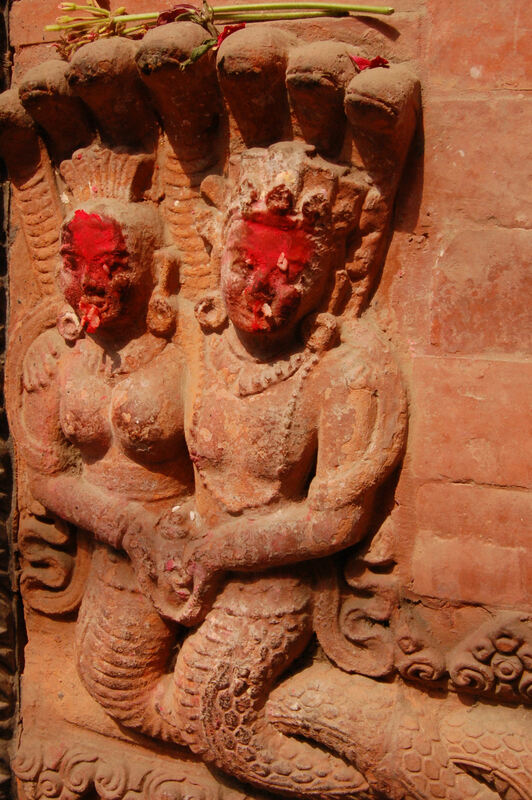 Red dye is smeared on the faces of sculptures. It represents fruit juices. 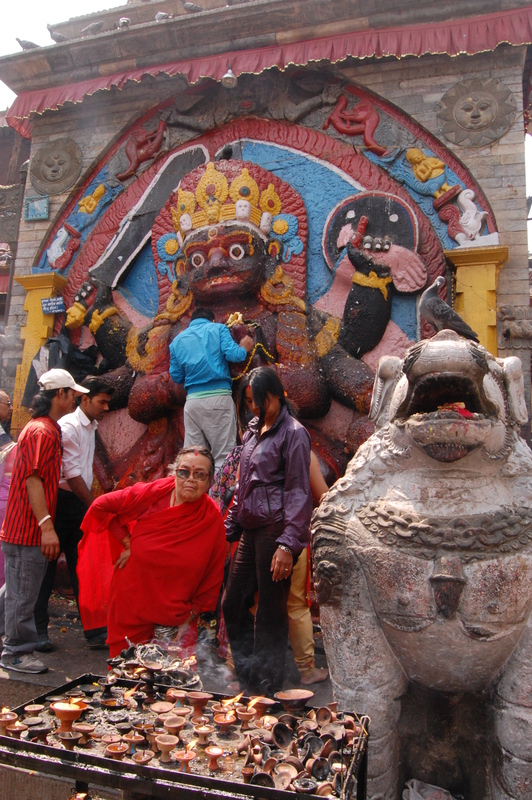 Followers are offering sustenance by smearing on the dye. Silence and calm are at a premium here. 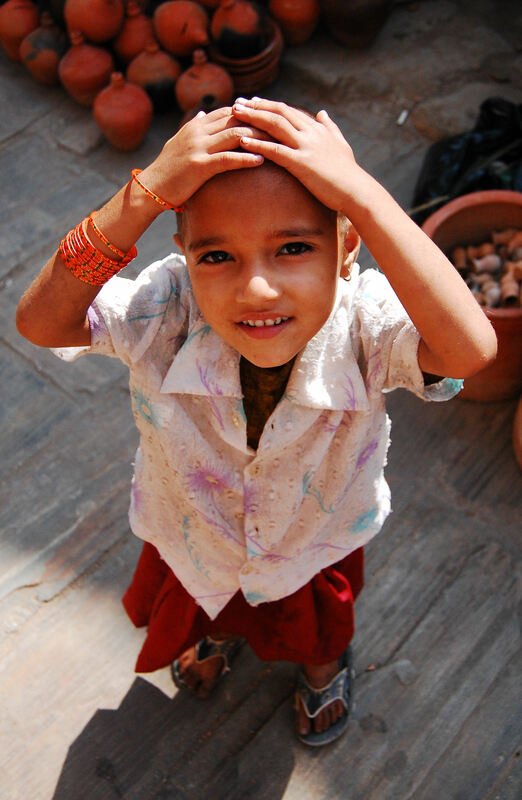 The constant noise of traffic, horns, sirens, bells, music, and tractors is only compounded by the inevitable crowd of guides, con artists, salesmen, and begging street children a westerner will attract. When you do manage to sneak a moment of calm the contrast is as pleasant as it is drastic. 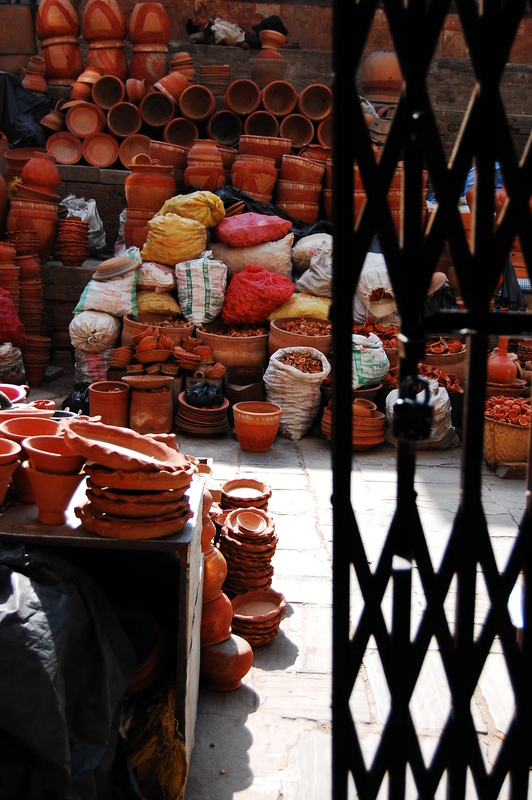 Wandering aimlessly through the chaotic maze like neighborhood in and around Durbar square, I would occasionally find myself alone in the deserted courtyard of some small temple or a potter’s work area. These brief yet refreshing respites from the noise seemed to increase the charming beauty of the spaces, a brief glimpse of a softer, gentler Kathmandu playing out behind its red stone walls.